Today we will talk about a couple of different options you may want to consider when you’re in the market for a new steam head. 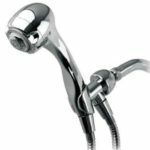 For those of you who do not already know what a steam head is, a steam head is a device used to give you a quality aromatherapy experience. Aromatherapy has been around for a long time and is used to treat many disorders and ailments. Aromatherapy is used to treat congestion, headaches, insomnia, and many more conditions. The use of aromatherapy steam is a great natural way to go instead of many Western medicines. Many pregnant women notice that during the duration of a pregnancy they become more congested and have a harder time sleeping. If you are pregnant, you do not want to take a lot of medicines that may harm the baby. The use of aromatherapy becomes very valuable to the pregnant woman, due to the fact she can treat the symptoms and get more restful sleep with a couple of essential oils. There are many different essential oils you might use along with your device and we’ll talk about a few of these oils in this article. The first one is peppermint. Peppermint is a great essential oil that is used to relieve congestion, occasional stress, and headaches. Another great oil for people who are having trouble sleeping is lavender. When using lavender essential oil in your aromatherapy device it has been proven that you will get more restful sleep and be able to fall asleep quicker. This is a highly useful tool for both pregnant women and anyone who has trouble sleeping. Another great essential oil that you may want to check out is eucalyptus. Eucalyptus is another essential oil that you may choose to use for the treatment of your congestion and the pleasing aroma. When we ponder on aromatherapy we think about diffusers. These are the devices that we have to purchase in order to create the steam for aromatherapy to work. There a lot of different diffusers and devices out there that allow you to enjoy aromatherapy and we’re going to talk about a couple of them in this article. Some of the best aromatherapy devices today are known as steam heads. 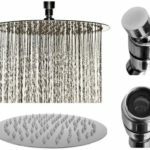 These are devices designed for use in your bathroom to create a wonderful aromatherapy experience. The first steam head we will talk about today is the Steamist 3199-PC Aromatherapy Steam Head. This is a great device to purchase due to its high level of customer satisfaction and quality design. It has a polished chrome surface giving it a great modern look and the device itself is very easy to use. The dimensions of the Steamist 3199-PC are 3.0 by 3.0 inches. 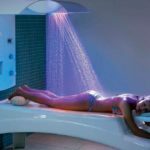 It is therefore very small and fit to turn your bathroom into a sauna-like aromatherapy room. 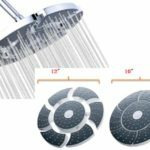 The steam head is to be mounted 18 inches above the floor and about six inches from the rim of the tub and ideally, you want to keep it as far from the seating area as possible. This is a great device for your bathroom to turn it into your very own aromatherapy room. The average cost of this particular product is about $160. You can find it on most online shopping sites such as Amazon.com. As some steam mist generators fans reviewed: Different like some steam head directs the steam downward, which at the rate the steam comes out shoots the steam your way burning your legs/feet! This 3199-PC unit is great! 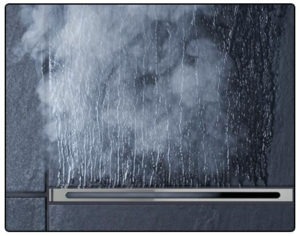 It channels the steam in 4 directions which evenly dispurses the steam into the steam enclosure. This steam head has a new low-profile look, our new steam head delivers 360 Degree steam dispersion, without the need for an additional diffuser accessory. It-Foots also designed to easily replace previous steam head designs without plumbing modifications. The next steam head we will talk about is a little more high-tech and modern in appearance. It delivers a plethora of aromatherapy options. This product is called the Mr. Steam MSITEMPOSQ-PC iTempo Control. It also has a polished chrome look with a digital screen on it with the controls located right under the screen. ♦ With this device, you can actually set the temperature controls to your preference making it very customizable to the way you like it. 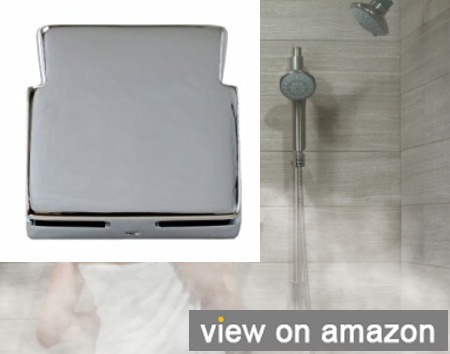 ♦ This product runs on 100 to 200 Watts, making it a pretty efficient steam generator. ♦ The digital screen control allows you to switch the temperature in between Fahrenheit and Celsius making this one of the highest rated products of its kind. 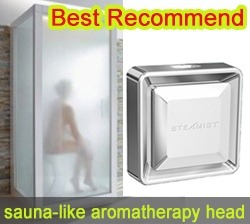 This steam head is a high-end product and creates a very quality aromatherapy experience. It costs a little more than the one we mentioned previously, the Steamist 3199-PC, but it has a much wider range of options. 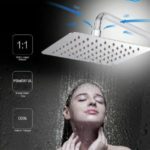 On average for this steam head, you can expect to pay about $500 depending on where you purchase this device from. By venturing online and completing some research you will see that the customer ratings are high and reviews are clear that individuals enjoy this product greatly. The last steam head we will talk about is the Amerec CFSH-CP ComfortFlo steam head. This product is a little bit less expensive when it comes to steam heads, and is perfect for those who are wanting to get this type of device on a budget. 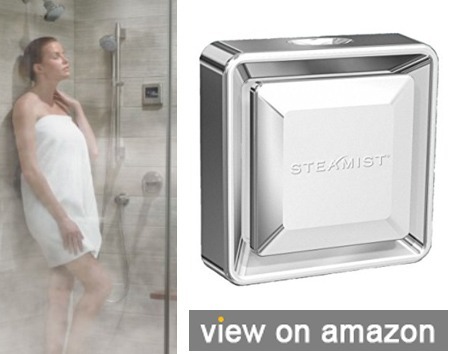 This steam head delivers steam to the whole room, making it a great product for those seeking aromatherapy. This steam head has a plastic insulator preventing the exterior metal surface from reaching high temperatures. Good distribution of steam that comes out the sides safely so not directly at you. The Amerec CFSH-CP steam head features a fragrance or oil reservoir that allows you to enjoy the benefits of your preferred aromatherapy by putting your favorite fragrance in the reservoir. For this product you can expect to pay about $100, making it a great option if you want to be thrifty. This product is a great one for beginners or someone just wanting to try out aromatherapy without making a large investment in a steam head. Given the reviews on these amazing products, we hope you consider these devices when you’re shopping for an aromatherapy steam head. A couple things to consider when you’re in the market for purchasing a steam head is price, functionality, and how the device is going to work and fit your needs. 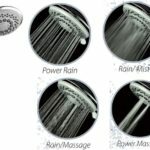 Depending on your budget and the features you require this will, in turn, be able to give you an idea of which steam head is best suited for you. Those who suffer from asthma know better than anyone how the constriction of your airways can affect your life and make you feel. 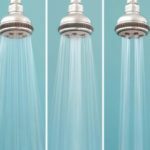 Doctors and medical professionals today inform most chronic asthmatics that one of the best ways to treat this airway congestion is to use steam or take a long shower. When using one of these steam heads you not only get the benefits of the steam, but you also get the benefits of whatever fragrance or essential oil you choose to use in your device. If you feel that one of these devices could help you with your current condition, we suggest talking with your health care professional and seeing what they think about the idea. Chances are good that they will suggest you use a steam head due to the fact that it is a natural way to treat most respiratory issues. In the time of flu season, another really great thing to do with your steam head is to use the essential oils extracted from the lemon. Lemon essential oil has many antibacterial and antiviral properties due to the citric acid that it contains. If you use lemon essential oil during this time it will not only sanitize and cleanse your skin but it will also clean the air and your entire bathroom with the use of this steam. Lemon itself is very cleansing for your pores and your respiratory system. The use of this lemon essential oil is a great way to get a leg up on flu season. Nobody likes getting sick so this is a great way to help your family avoid getting the flu this year. If you do decide to go this route and want to use essential oils in your steam head we highly suggest getting a decent model. What this means is you’ll have veritable temperature control and this will allow your essential oils to work better due to the fact that differ essential oils have varying boiling or steam points. These products are great to consider if aromatherapy interests you or if you’ve already been using aromatherapy and are happy with it. We highly suggest venturing online and doing a little further research to see which one of these devices best fits your needs. We always suggest doing things the natural and holistic way opposed to Western medicines and other things that may be harmful while treating the symptoms. Many medicines commonly used by people today have a plethora of scary side effects that are brought on the user while initially attempting to alleviate one symptom. In conclusion, for the sake of you and your family, we hope you check these steam heads out and read some of the reviews left by the many happy customers that have already purchased one of these devices and are enjoying the benefits of aromatherapy. As always we highly suggest talking to your health care professional before moving forward with any kind of treatment. It’s highly likely that you’ll get the go-ahead from the professional and when you do, you can move forward with your aromatherapy treatments. Good luck.